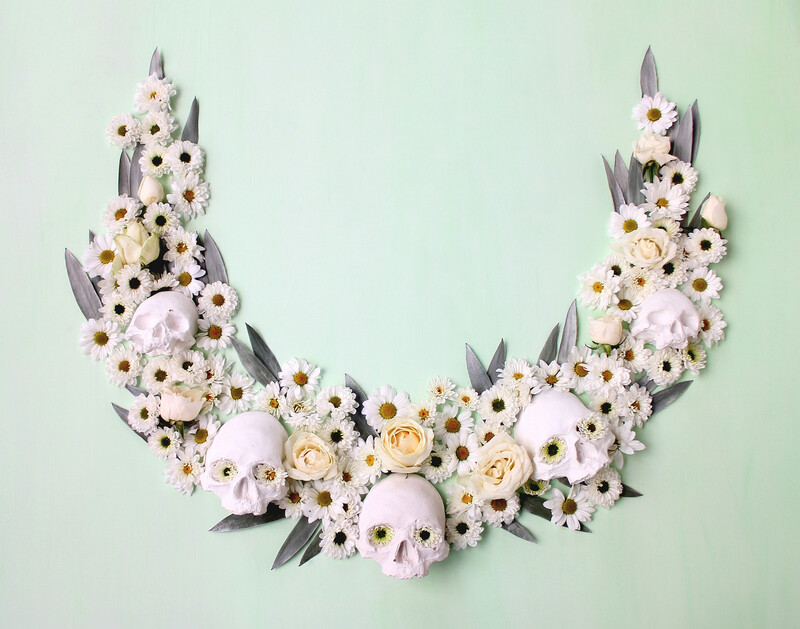 A New Zealand florist turned visual artist, Georgie Malyon‘s elaborate arrangements blend the macabre with the whimsical. 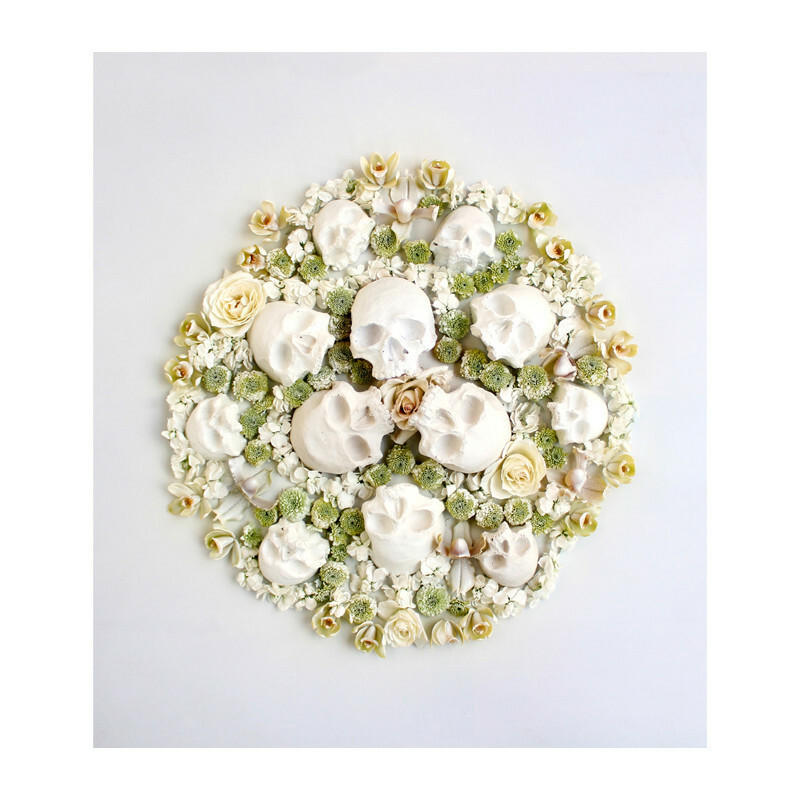 I particularly loved the modern take on the Memento Mori (remember you will die) theme- using ephemeral flowers (particularly utilizing types of flowers associated with celebrations) with hand cast skulls. The soft pastel florals almost hide the dark themes in her arrangements. 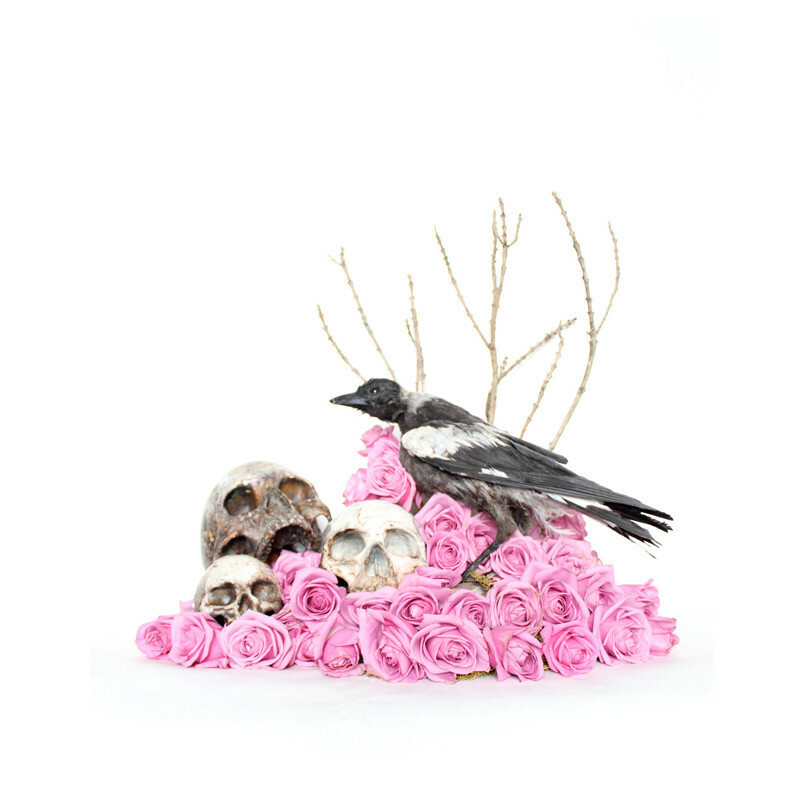 Some of her pieces feature taxidermy birds and preserved skulls mixed with the flowers. What a nice color combination! How awesome.